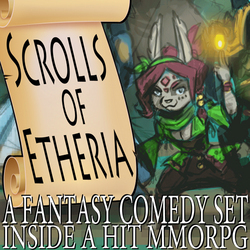 Welcome to the second chapter of "Scrolls of Etheria". A new chapter every Tuesday! It was the biggest MMORPG ever created, and took the world by storm. With billions of players from every corner of the planet, 'Scrolls of Etheria' allowed anybody to interact with one another within the gloriously realized online world. 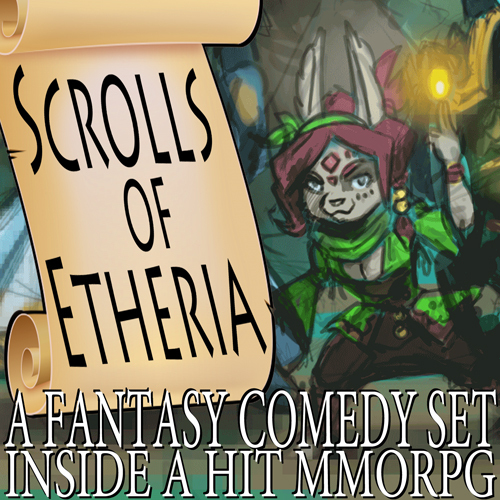 Scrolls of Etheria is a comedy fantasy, part sit-com and part epic adventure, which explores the bonds of friendships in a digital age.